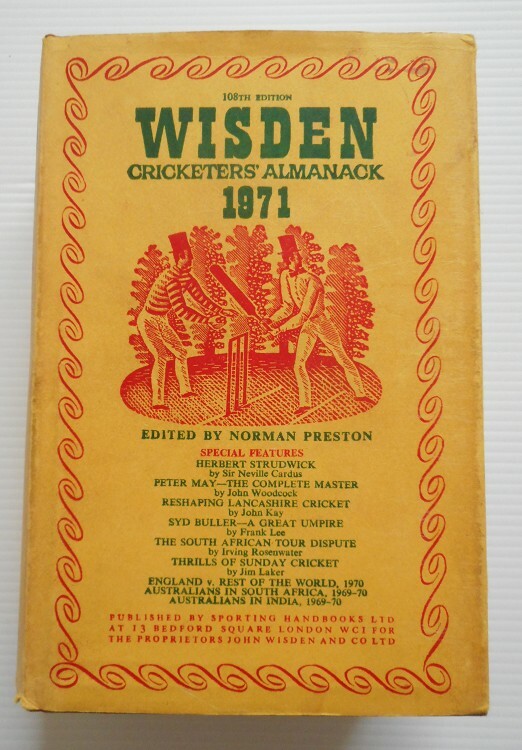 This 1971 Hardback Wisden is in good/very good condition with no known inscriptions. Internally very good. All items (unless otherwise stated or the item sells for £75+) will be posted via Royal Mail 2nd Class Signed For Delivery. If a faster Royal Mail service is required it can be arranged at further expense to the winner of the auction. If this is required the winner should let me know as soon as possible after the auction closes. Payment Details: Payment by Paypal needs to be made within 48hrs, if there are any problems please let me know immediately.If you want to send a cheque or postal order instead please let me know that is how you are paying after you win the auction.